A couple of pieces to report this month, firstly I went to EUE in Utrecht back in June, as usual it was great to catch up with the CG heads and learn lots of interesting things about 3D. Particular highlights were meeting Eric de Broche of Luxigon fame and Nils Norgrens from Neoscape's talk on leadership and starting a company. Write up coming soon. Whilst I was at EUE I bumped into Adam Hotovy who was kind enough to give me an early release of Corona A7. I took it for a spin with the new BMW i7. Corona is unbelievabley easy to use, get the conversion script from the forum and pretty much hit render and your good. I left it overnight and this is what I got, I did some minor color adjustments in Photoshop, but here that is now built in to the release version. 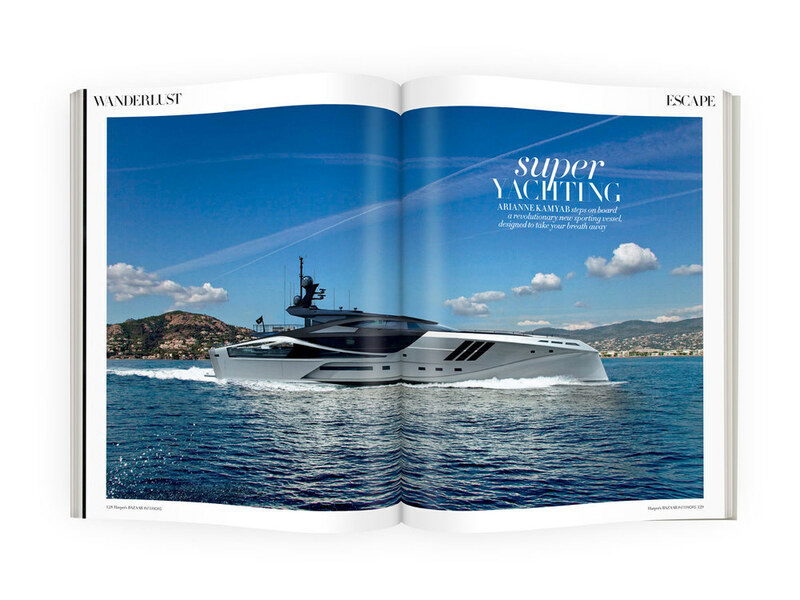 Harpers Bazaar also did a piece on the super yacht I have been working on recently. The images they used included a double page spread and some older interior images. I am happy to present a some new renders from a Vray Physical Camera study. In this study I wanted to looking deeper into the Vray Camera focus and motion blur settings. The table and chairs scene was very basic using three Vray Lights. For the paper clips I used a studio with a HDRI and Rayfire to animate. NOX Renderer is available for download here. This is how I got on with NOX renderer in 3ds Max, this is not so much a review but my first impressions. Once the Renderer is downloaded and you have also installed the Material Library open up 3ds Max and choose NOX as the render engine.The next step was to set up the scene, I used the Fendi Dorchester Chair which you can download here. The Sunlight System is in the Standard Lights Menu in 3ds Max and Camera is in the Camera Menu. Next up was applying the materials. Open up the Material Editor in 3ds Max and click on Standard and choose Nox Material. The material Libery that comes with Nox is very nice. I then applyed the fabric to the chair and wood to the legs and floor. After hitting Render this is what I was getting, in fact it was a lot more over exposed. Also I turned off Real-World Scale in the UV Maps on the Chair. The problem was with the exposure, aperture and camera distance. Once I had adjusted these three I got the render below which took 21 minutes.I found Nox Renderer nice and simple to use and I am looking forward to working with it more in future and seeing it develop. NOTE. After writing this post Evermotion have posted some tutorials here. Check them out, there are some great features and you will probably get on better than I did. After seeing all the VW Campers in Brighton (see post here) the other week I decided to create this one. The Camper Van was modelled in 3ds Max and rendered in Mental Ray using the HDR lighting technique I described here in HDRI Reflections. I applied all the materials using a multi-sub object. I have finally got around to finishing up my Vespa. This images was influenced by my time in Brighton. The Vespa took two days to model and adding materials, rendering and post-production took another two. Rendered using Mental Ray and post in Photoshop. The lighting set up is described in this post. I have just completed a new render modelled in 3ds Max, rendered with Mental Ray and some post production (Light flares and ambient occlusion) in Photoshop. Here are a couple of new client interior renders for a Avro RJ modelled in 3ds Max, rendered Mental Ray and post in Photoshop. A quick low down on the post production in Photoshop is in this post.